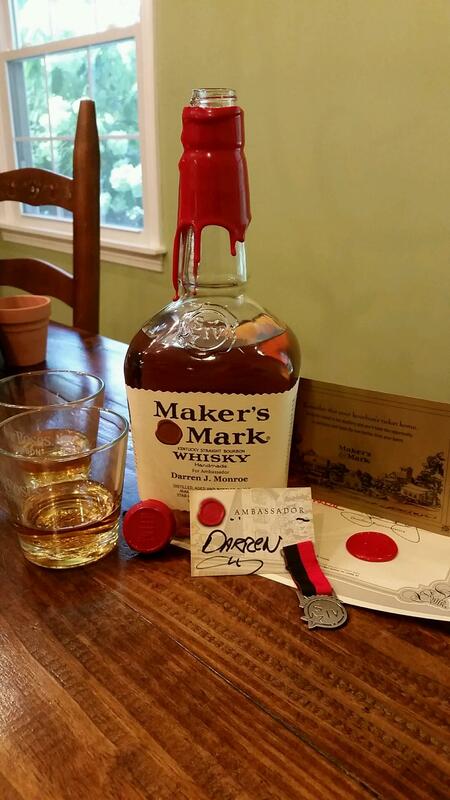 Darren is officially a Maker’s Mark Ambassador! Like Old Rip Van Winkle himself, we have awoken from our slumber and are back with a new Around the Barrel podcast! This time around we go through some of the things that have happened while we were away: Darren talks about the Great American Whiskey Fair and becoming a Maker’s Mark Ambassador, we taste some non-bourbon whiskies, and we have a discussion about Wild Turkey. Note, we did have a few technical issues with the audio since we’re both in new places, so we apologize in advance. Double note: Elijah Craig Barrel Proof is 12 years…stated incorrect age in cast. Whoops! Of particular note, Albert Schmid’s new book about the Manhattan cocktail has come out. You can check it out by clicking the picture! Listen to our interview with Albert covering this book and his career here. Who doesn’t like a VIP bourbon tasting before a sporting event? We’re also going to be the bourbon experts at a fun bourbon tasting, music, and food event with the Cincinnati Cyclones hockey team on February 5th, 2016! The bourbon list is still in the works, but is sounding like it’s going to be a great deal for $35. Definitely check it out, and let us know if you’re coming! While definitely a fuller profile than the average Irish whiskey, we both agree that we want a bolder profile in our whiskey. The unmalted barley in the mash bill adds a nice “standing in a pasture” character to the nose and palate. Their multi-barrel aging combination does give some welcome non-traditional barrel notes. If you like Irish whiskies or lighter Scotches, this should be right up your alley. This is a great example of a wheat whiskey that highlights the character of the grain. Unfortunately, that character is very sweet and somewhat one-dimensional. This is probably worth buying a bottle just for the ridiculous (read ridiculously good) nose. Despite the total lack of information about what this whiskey is, how it’s made, or where it came from, it is a delicious and surprising pour. Butterscotch abounds!